Wavetec is proud to exhibit a suite of smart technologies, such as Financial Self Service Kiosks and Queue Management Systems at the prestigious Branch Transformation Conference 2018 to be held in London on the 27th and 28th November. HSBC, JPMorgan Chase, Citibank, and UniCredit will be among the 35 speakers to share their thoughts on what branch transformation and digitalisation means to them. This is a unique annual forum which brings together banks from around the world to discuss ways to make the most of their branches. The two-day speaker agenda provides inspiration and practical solutions through bank case studies and thought leadership presentations from the industry’s key strategists. 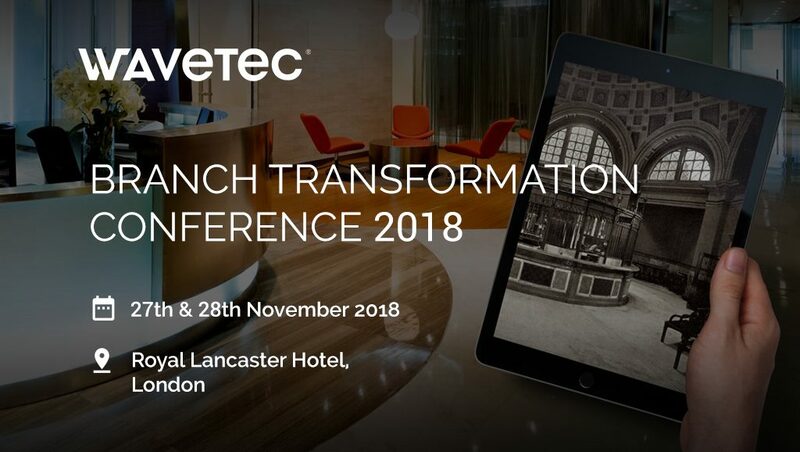 Commenting on the importance of RBR’s Branch Transformation conferences, Deputy CEO, Tobias Bessone, said “This forum gives Wavetec an opportunity to be part of the thought process of what the future of retail banking holds and how Wavetec can play a pivotal role in a bank’s journey to reduce the operational cost of the branch while improving its customers experience”.